Happy first of October, friends! Today's post possesses a distant fragrance focus with some reflective thoughts about the human experience along the way. 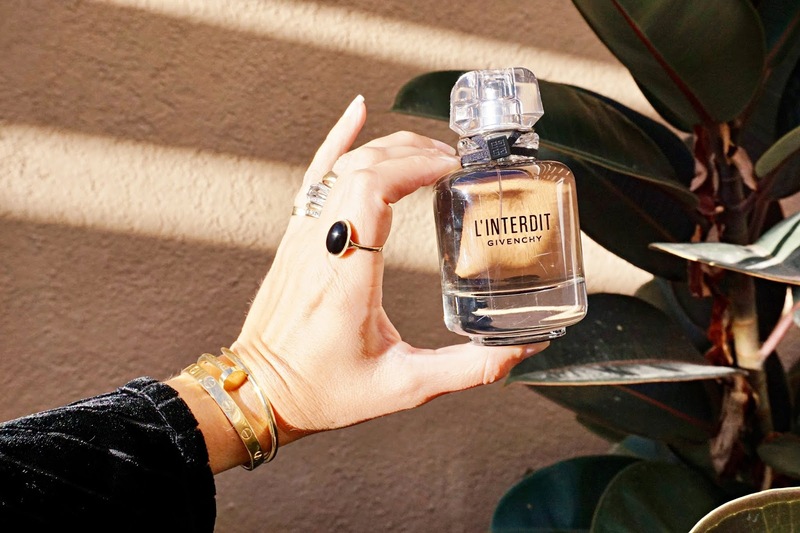 It's particularly compelling to me when a new fragrance has a strong backstory and such is the case Givenchy L'Interdit Eau de Parfum, exclusively available at Bloomingdale's. 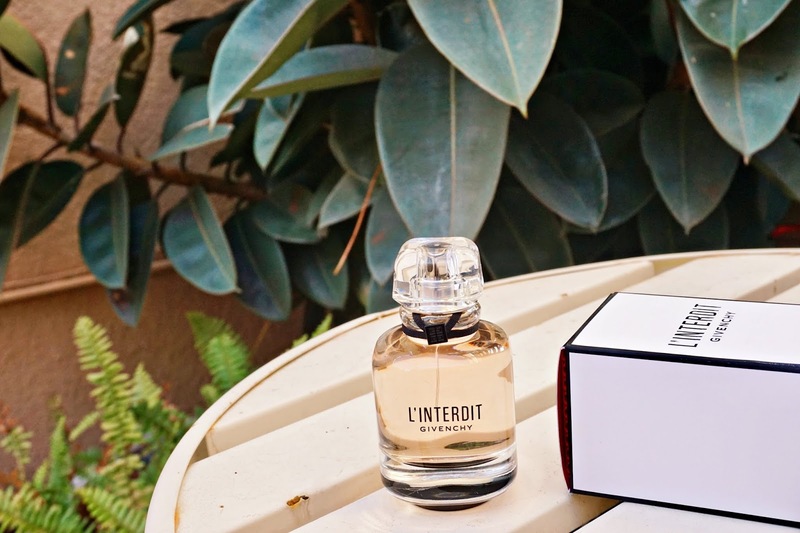 The opulent scent, which is an homage to the original 1957 L'Interdit, is a tribute to bold femininity, self-discovery and the freedom that oft results from audaciously taking risks in one's own life. The poignant messaging behind Givenchy L'Interdit Eau de Parfum resonates with me on so many fronts...from combining an academic professional life with one in the beauty industry (this, at the start, was inexplicable in the eyes of many) to balancing a copious amount of deadlines with the profound honor of being a mother to a newborn, my life currently feels like the culmination of daily choices that individually posed risk but ultimately collectively lead to greater fulfillment. I am thankful for having a family that always encouraged me to healthily push the limits and follow my intuition, even when it seemed like I was swimming upstream. From challenge and adversity comes growth and strength, indeed! FRAME Party Velvet Burnout Cropped Top: With slightly padded shoulders-meets-puffed sleeves and a sleek velvet appeal, I'll be dressing this up and down all season. Since it is slightly cropped, I am wearing a size medium. MOTHER The Looker Ankle Fray Skinny Jeans: Ultra-slimming yet seriously comfortable (can a pair of jeans actually flex with you? ), these jeans have me believing in skinny jeans again! I am wearing a size 25. 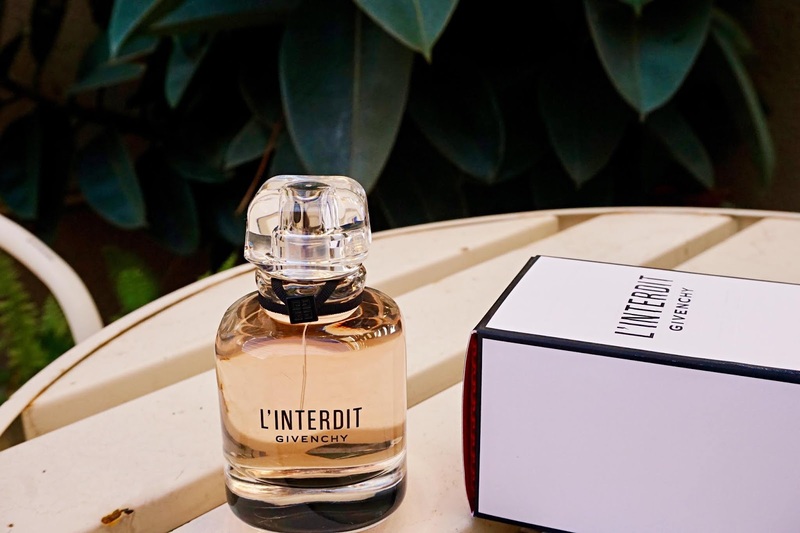 Classified as a woody floral, Givenchy L'Interdit Eau de Parfum has top notes of orange blossom, middle notes of jasmine and tuberose and base notes of vetiver and patchouli. The amalgamation results in a lush and creamy floral effect that's offset by the coolness of a dark and verdant woods. 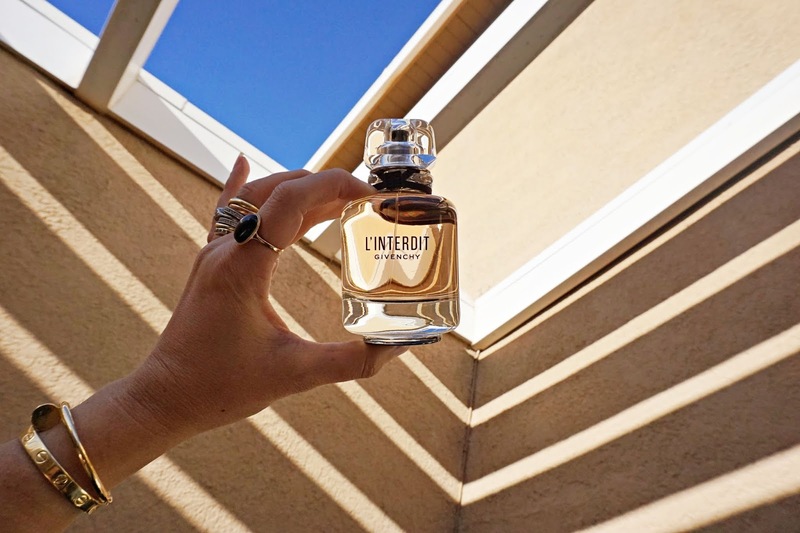 Paradoxically, Givenchy L'Interdit EDP is all at once alluringly romantic and fiercely independent, making it a blissfully lovely juice to wear both day and night alike. Taking risks and learning along the way. Bottom Line: I truly hope you enjoyed this profile of the Givenchy L'Interdit Eau de Parfum, exclusively available at Bloomingdale's. From its rich legacy and inspiring backstory to its intoxicating notes and fresh wearability, this, unquestionably will be a part of my fall fragrance rotation. What kinds of risks have you taken in life that have paid off? Do please share! **Many thanks to Bloomingdale's for sponsoring this post. PR samples provided for review denoted by an asterisk (the rest purchased by me), however, as always, all of my opinions are expressly and unequivocally my own. © 2012-18 Beauty Professor® All Rights Reserved. Do not copy, reprint or republish content and/or photos without author's written permission. I had always heard that Givenchy created the original L'Interdit for the beautiful and gracious, Audrey Hepburn.